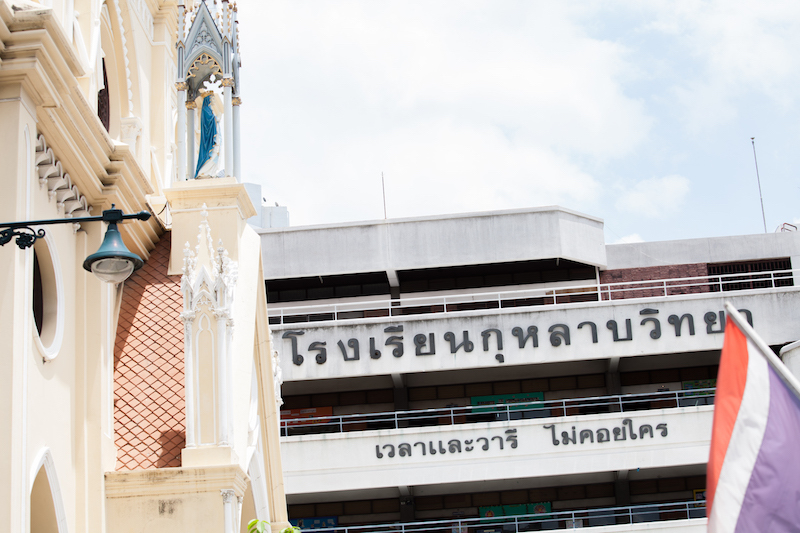 Steadfast piety ensured that after the fall of Ayutthaya the Portuguese community had the Holy Rosary Church to gather at and worship. Portugal was one of the first European nations to establish a strong relationship with Siam, so much so that the Portuguese were given their own settlement in Ayutthaya that at one point held up to three thousand people. Three Roman Catholic churches were built to meet the religious needs of those in their new home away from home. For more than two centuries, the Portuguese lived in Ayutthaya. But in 1767, the settlement was destroyed along with the fall of Ayutthaya and its inhabitants were forced to flee to Bangkok with other survivors. 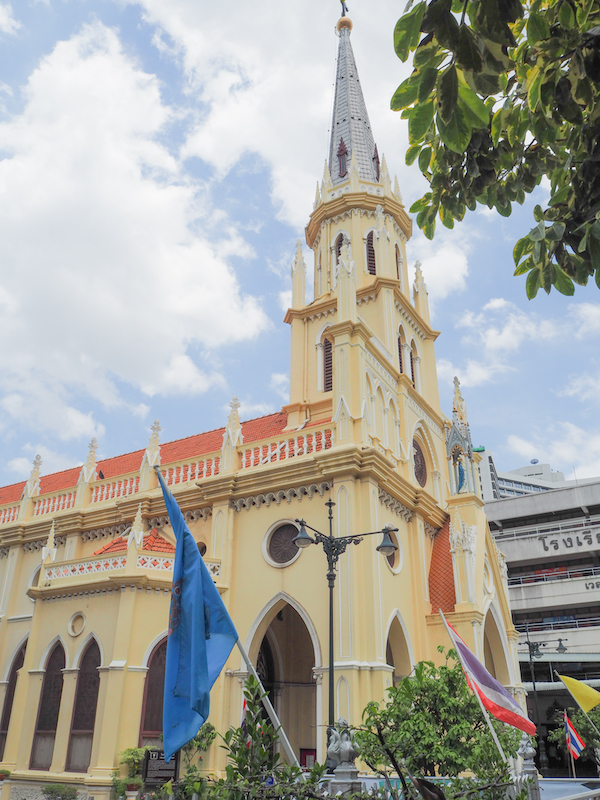 Upon arrival, the Portuguese had to make an important choice: follow the leadership of the French clergy that established the Santa Cruz church in Thonburi or reject it to go off on their own. The group that chose the latter resettled in Samphanthawong district and built their own church in 1787. The Holy Rosary Church, in its first iteration, was a stilted wooden structure. Its final form, which one can still see today, came only after extensive constructions that finished in 1897. 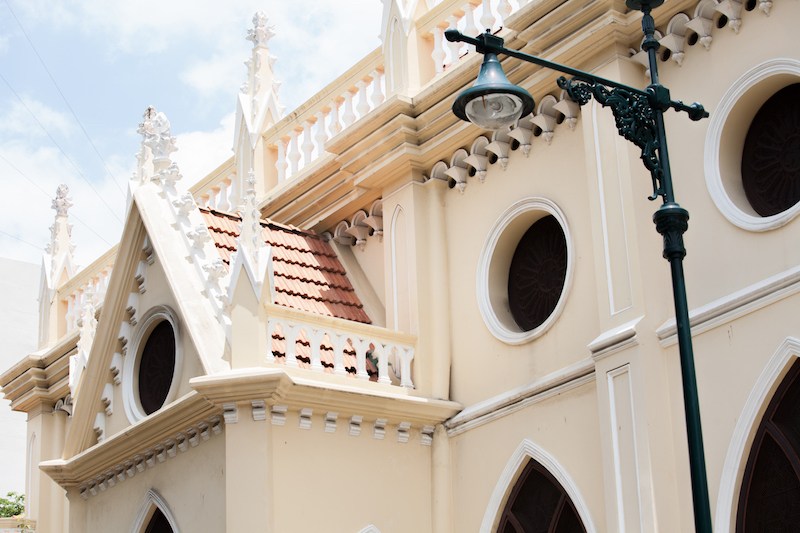 Today, the Holy Rosary Church (also known as Kalawar Church) is one of the great symbols of religious diversity that sit along the banks of the Chao Phraya River. 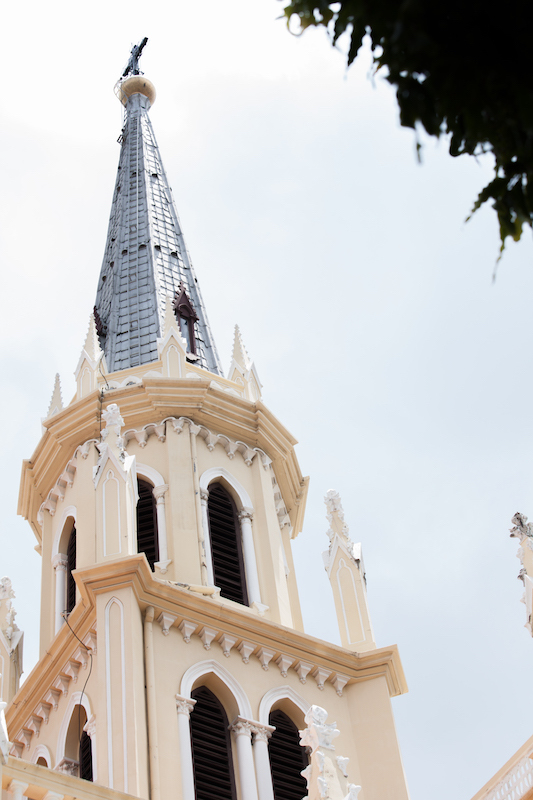 Its Gothic Revival style is easily seen from the river – the inspiring steeple soars and sits atop its main façade filled with arched windows and doorways. Inside, one can enjoy the magnificently European interior and marvel the lights streaming in from remarkably well-preserved stained glass windows.